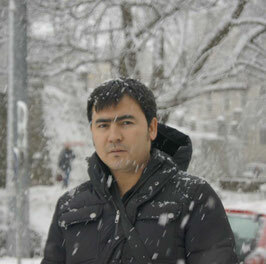 Ibrahim Amini( Afganistan/ Austria) lives in Austria, He is from Afghanistan. He writes in Persian/Dari. In fact, I was nowhere. Hamed Khawary, the translator, was born and brought up in Afganistan. He works as a human rights officer for UNO. In addition to his own writing he translates from Farsi and Dari into English. Presently, he is living in Netherlands. He is quite popular for his poetry among the young generation of Afgans.